The cold I had in November was pretty major - I was at home sick for an entire week. Coughing so frequently didn't make my stomach feel great either, so my breakfast/lunch usually consisted of a soft-boiled egg and toast and maybe some canned soup (yuck!). by day seven, I wasn't exactly hungry, but I wanted to eat something relatively healthy and filling. I was suddenly craving bran muffins, and Meredith fed that craving. She even threw in some chocolate chips for good measure. 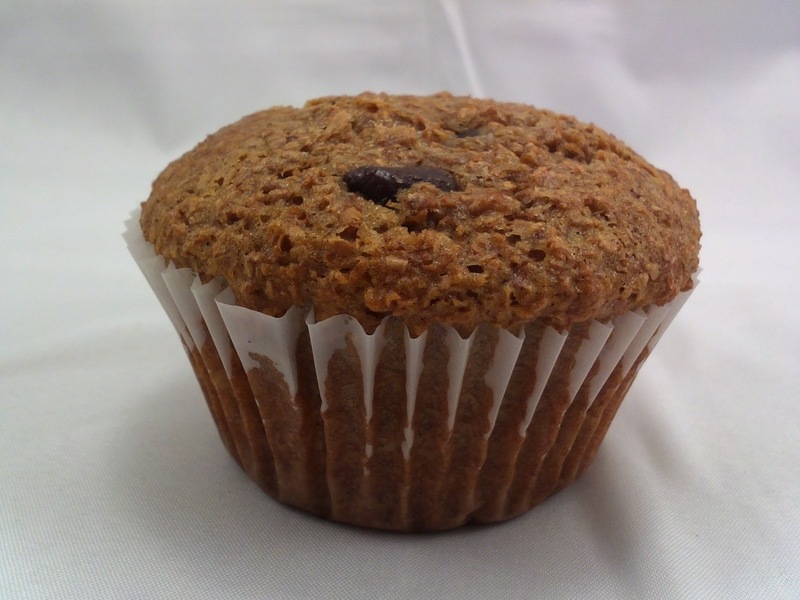 These muffins are a family favourite and pack a lot of fibre. You can cut the amount of chocolate chips in half or substitute raisins if you prefer. 1. Line a 12-muffin tin with paper liners and preheat oven to 375-degrees2. Combine milk and wheat bran in a bowl and let stand for ten minutes.3. In a separate bowl, whisk together oil, egg, sugar and vanilla, and add to wheat bran mixture.4. In a separate bowl, sift together flour, baking soda, baking powder and salt.5. Stir flour mixture into batter, until blended and fold in chocolate chips.Spoon batter into muffin tins and bake for 15 to 20 minutes, or until a toothpick inserted into the center of a muffin comes out clean. I love muffins for breakfast! These muffins look yummy! Muffins are a good quick breakfast with the egg, flour and milk. These look really tasty and filling and a great source of fiber. I just ordered some organic wheat bran so as soon as that package arrives I wm going to try this. Love the choco chip addition--good job, Meredith! Ooh, intriguing, I did a cake with bran flakes in earlier this week actually, it tasted mighty wholesome. I do find it a little odd though that you were craving bran when under the weather!